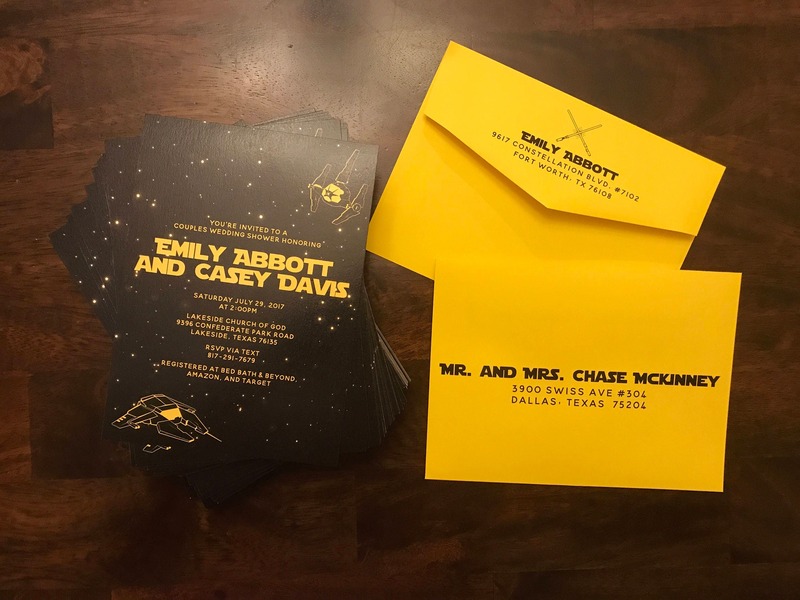 Star Wars/Jedi/ Light Sabers/nerd/geek Wedding shower invitation. Single-sided invitation and envelope included. Return address printing and guest address printing not included in base pricing, but available. This design is available for a save the date or wedding invitation.